When anyone first starts cycling, it’s advised that they buy – after the bike of course – a pair of cycling shoes and clipless pedals. The benefits of using these over flat pedals in terms of comfort and efficiency are huge. The key benefit of cycling with clipless pedals is that they allow you to utilise more key muscles throughout the pedal stroke, getting greater forward propulsion with every revolution, particularly in the upstroke when the hamstring is engaged. The majority of first time buyers will end up with Look style pedals – these are widely stocked and can be purchased for a reasonable fee. 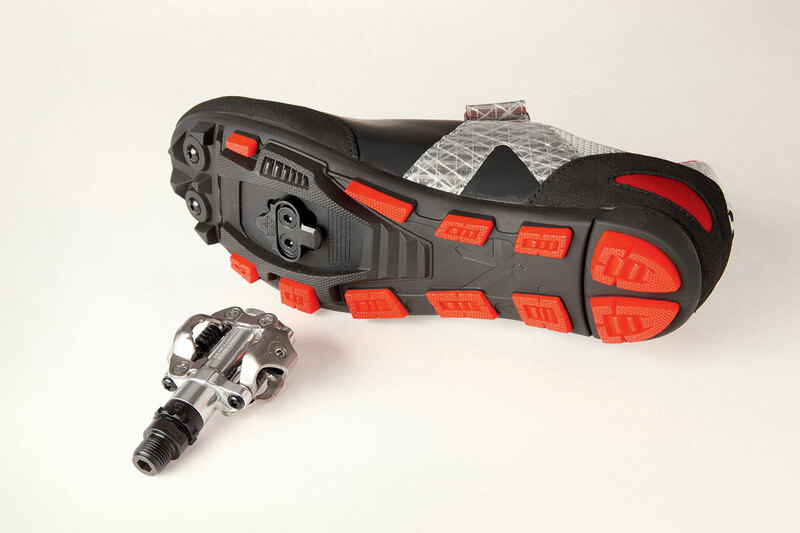 However, there’s a variety of different styles of clipless pedals – each version comes with pros and cons. With each product you’ll find a ‘buy now’ link, by clicking the link we may receive a commission from the retailer – this does not affect the amount you pay. Look pioneered clipless pedals back in the Eighties, and they’ve maintained a huge presence in the market ever since. The pedals use a three-bolt design, with a large surface area to the cleat that can make walking a little cumbersome but does provide a good contact patch. More commonly used by mountain bikers and commuters, SPDs have been around for 20 years and they’ve seen little change since. The twin sided pedals mean clipping in is easy, and the cleat is recessed into the shoe which allows for easy walking off the bike. Being made of metal and away from contact with the ground, the cleats can last for years. The contact patch is smaller than that available on road specific pedals, offering a little less power transfer – but some roadies do enjoy the simplicity. This system combines an SPD system with a flat pedal – which makes them a great option for people who feel nervous about cycling clipped in, or commuters who want to be able to quickly get a foot on the pedal without having to search for the contact. The shape also means you can use them wit standard trainers, too. The dual system does mean that these pedals are a little heavier than other options, so they’re not really favoured by those after pure performance. Speedplay’s ‘lillipops’ are road specific pedals that gain their power-transfer-platform from the cleat, as opposed to the pedal. This means the cleat needs looking after as it’s integral to an efficient pedal stroke. The benefit of Speedplay pedals is that they offer a huge amount of adjustability – cleat position is adjustable in three separate planes, and all can be fine-tuned independent of each other — bike fitters love them, particularly when setting up anyone with knee pain. The simplicity and double-sided nature also mean they’re easy to get into and they’re light, too. Shimano’s SPD SL pedals use a three bolt system, similar to Look Keo pedals. The key difference is that the cleats and pedals are much broader, arguably offering greater power transfer. Just like the Looks, the cleats come in three different colours, each denoting a different level of float. Again, like the Looks, it’s a system that is well used within the professional peloton, and they aren’t the easiest to walk around in, especially on shiny floors. Similar to Speedplay pedals, Xpresso’s from Time offer a huge amount of adjustability – but they also use a three-bolt system, like Look and Shimano. The cleat is one of the biggest on the market, so offers a very supportive platform to push on. They’re also quite cheap to replace, which is always a bonus. The Xpresso system boasts lateral (side to side) adjustment, and very small distance between the sole and the pedal axle, purportedly increasing efficiency. Once you’ve selected a pedal system, you’ll find yourself faced with more decisions: all pedal systems are available at a wide range pf price points. You can get a basic pair of clipless pedals for less than£50 – and they’ll do the job. Spend more, and the mechanism will be fine tuned, giving a stronger grip in the cleat – which will be a welcome improvement for racers, but beginners might actually want a little more float. More expensive pedals will also be lighter, and will usually use more quality parts, making them longer lasting. Here’s a look at some of the options on the market that we recommend. With each product is a ‘Buy Now’ or ‘Best Deal’ link. If you click on this then we may receive a small amount of money from the retailer when you purchase the item. This doesn’t affect the amount you pay. Look have used a thin sheet of carbon in place of the more common metal spring, cutting the weight, whilst the blades provide a positive engagement. As per all Look cleats, they are quick to wear down, requiring regular replacement unless you’re conscientious enough to use cleat covers. A slightly more affordable version of the TIME Xpresso 15 pedals (which retail at a jaw dropping £400), the Xpresso 6’s are a little heavier (213g) but considerably more affordable. Offering an alternative to the major players (Speedplay, Look, Shimano), they provide 2.5mm side-to-side float to suit your pedalling style, but don’t allow for alterations to float engagement (how hard or easy it is to clip in and out) as per other models. They are the easiest pedal to get in and out of, but the three-hole bolt system cleat is noticeably larger. A quality pedal, offering value for money that’s ideal for anyone who wants reliability without breaking the bank. Speedplay offer a premium option. For anyone with knee niggles, they’re preferable to other styles because they offer a huge amount of adjustability – the release angle and float can be altered independently. 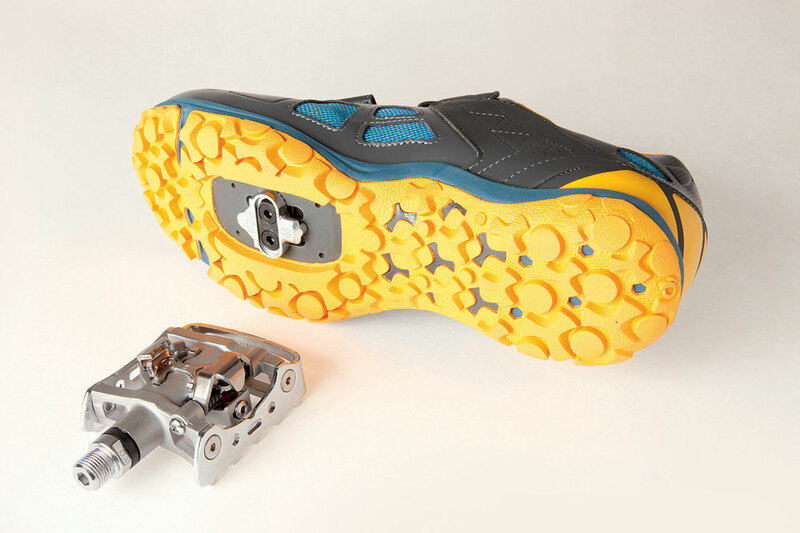 The pedal itself is much smaller, but this connects with a significantly larger cleat – creating a wide contact at the sole. The pedal is double sided, too – making clipping in super quick which will suit criterium races. Speedplay pedals can be expensive, but the Zero Cromoly version sits at the lower end of the scale. A second option from Look, these are great starter pedals that provide plenty of flat adjustment, and a large contact patch provides power transfer. A suitably priced and easy option for beginners to take their first steps into the world of clipless pedals. Watch the video below to learn our mechanic Al’s top tips on clipless pedal installation and removal. The key thing to remember about pedals is that the left and right ones are threaded differently. The right pedal has a normal thread, so that you tighten it by turning the pedal spindle clockwise in the crank arm. The left pedal has a reverse thread, so that you tighten it anticlockwise. This is so that it doesn’t tend to unscrew when you’re riding. So it’s important not to get your left and right pedals mixed up. With many clipless pedal systems, such as those from Shimano and Look, it’s pretty obvious which way round they go as the pedal has a definite front and rear. But with other systems such as Speedplay, many MTB-type clip less pedals and platform-type pedals it’s harder to work out. Most pedals will have L or R printed or embossed on them somewhere, so it’s worth taking a look before starting to screw them back in. Above all, go carefully and hand screw the pedal to make sure that it’s screwing in correctly, only using a spanner or allen key once you have it most of the way in. It’s very easy to strip the threads from an aluminium crank arm and expensive to replace it if you do, so if you’re not sure the pedal is going in correctly unscrew it and start again. Many pedals will have both allen key sockets in the end of the spindle and spanner facets where the threads end. Using a pedal spanner will afford much more leverage than most allen keys. Some pedals such as newer Shimano Dura-Ace, Ultegra and 105 only have allen key sockets so if you use these it’s worth getting a chunky 8mm allen key so that you have enough leverage to loosen the pedal in the crank. Competitive cyclists now often ride with a power meter and many of the options available are pedal-based. This has the benefit of being easily transferred between bikes, but often the pedal needs to be tightened to a specific torque value to obtain accurate power output values. This means that you will need a torque wrench – a pricy bit of kit, but fairly insignificant relative to the cost of the power meter itself.